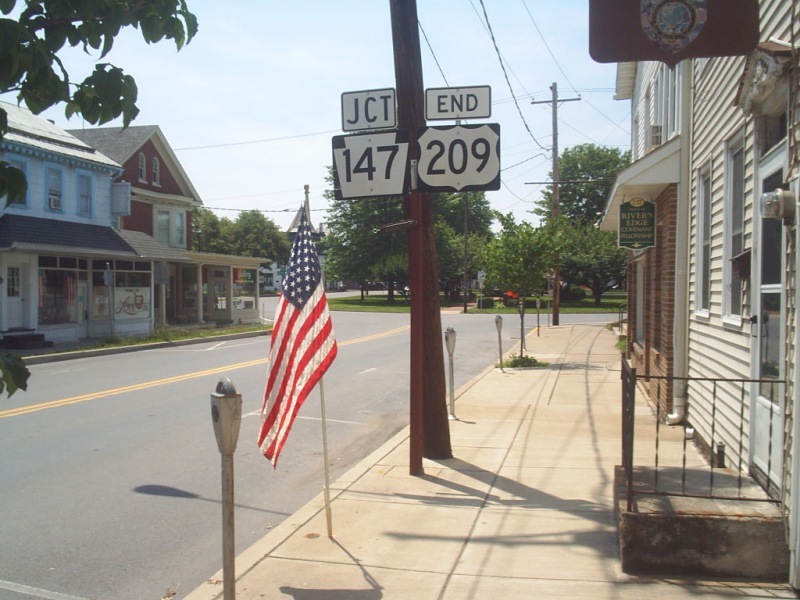 END US 209 sign approaching the junction with PA 147. Photo by Doug Kerr, taken May 29, 2006. 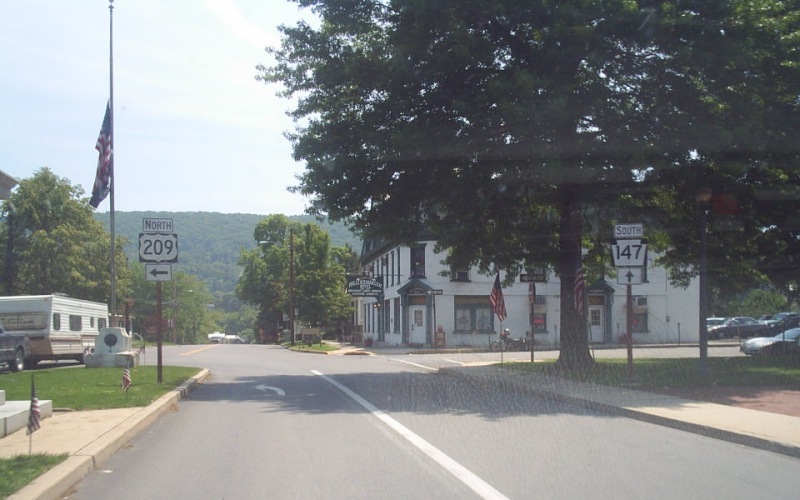 Southbound PA 147 at the turnoff to US 209. Photo by Doug Kerr, taken May 29, 2006. 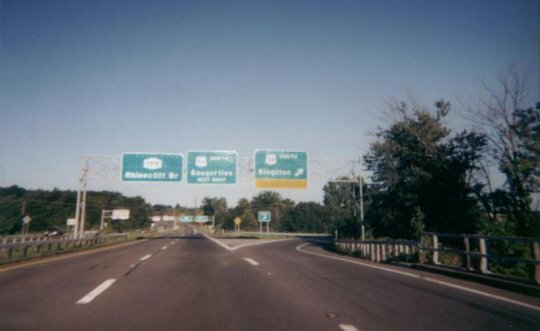 This is where US 209 ends at US 9W in Kingston, NY. The roadway continues east as NY 199 and crosses the Hudson River. Photo by Doug Kerr, taken August 20, 2000.